Hello party people! 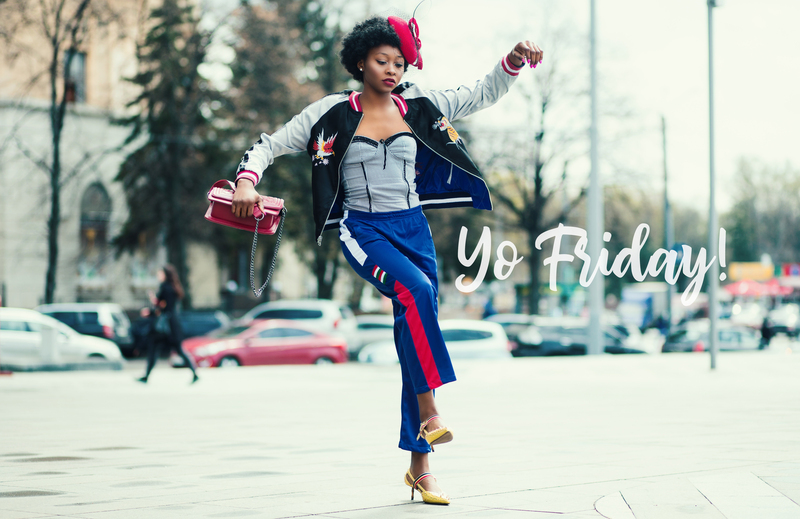 It’s Friday, that day that we can’t wait for, that day you grind to get to … and your so happy it’s here, but alas the weekend is so short so I hope you make the best of it. I’ve been suffering from allergies this week … which will be a theme for the Spring. I just need to get my body in line with the weather, and hopefully, I can shake this groggy feeling that the allergy medicine brings. This week I saw “Us” so if you haven’t seen it … “OMG” do it! It’s so good, and I can’t say anything about it because I know I’ll spoil it for you. See the movie for yourself and you will not be disappointed. Also [and I think I mentioned this] but there is a Hobby Lobby that opened really close to me, which is exciting. It’s the size of a gymnasium, and it’s so overwhelming because your brain has to rationalize what to look at first. That sore is gonna take my money because I’ve already purchased a few things for a DIY. Let’s rewind this week. I took a picture on my phone when I visited Hobby Lobby … I just love this style. I’ve started drinking Health-Ade Kombucha Tea, and this is the only brand that can tolerate. I actually love the way this taste. I do spend some time setting up pictures for my post … mostly because I like the process, but it is a lot of work. I found Guava Nectar at Big Lots of all places, and I was surprised. It’s really best if you’re mixing it in smoothies or drinks, but I can drink it as is. This would make a great Summer cocktail. and  When I took out my old negatives and contact sheets for my upcoming Sunday post, it really brought back memories of my class and all the work that I put into preparing my assignments and my contact notebook. I would love to share it on the blog sometime, but it’s a great deal of work scanning all my darkroom images. 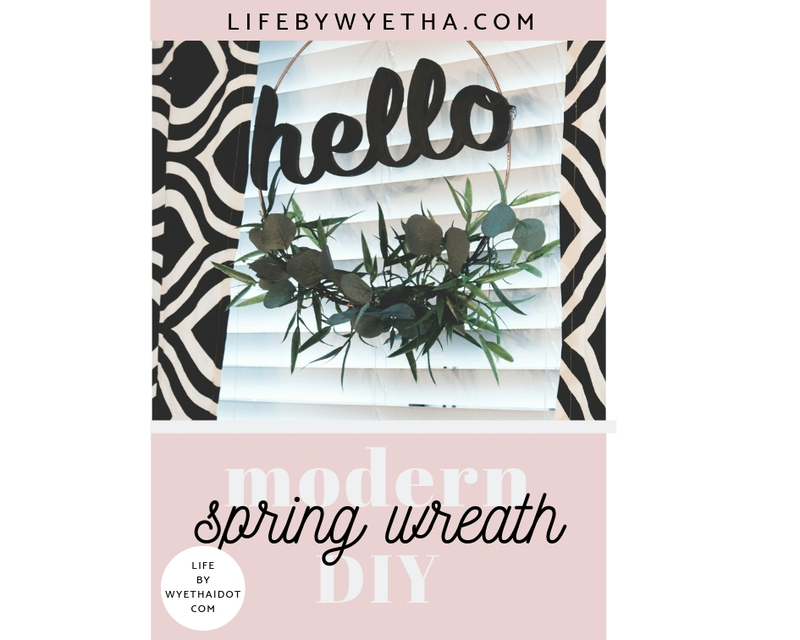 I finally got around to making a spring wreath. Unfortunately, I can’t put it on my door because our hallways are being renovated, and there are dust and paint everywhere. It also doesn’t help that whoever they hired to do the work is messy, so there is extra cleanup. I found another spot in front of my dining room window, to hang it temporarily. I haven’t don’t back-to-back DIY’s in a while so it was a little challenging getting into the swing of things. Since my hoop was metal I wanted to spray paint it a Rose Gold color I had on hand…however I ended up painting over that, because hot glue doesn’t adhere to spray paint so it came right off … live and learn. By now my metal hoop was dry so I attempted to glue on my foliage but quickly found out that the hot glue wasn’t working so I used floral wire to attached my greenery, then used petal from my greenery and used hot glue to fill in some spaces. Since my Rose Gold paint came off in this process, I used my gold leaf paint to fill in and or paint over top of my work. It still came out ok but I should have used a wooden or plastic hoop wreath. I think this little project turned out nice. I’m the only one that can see where I messed up, so when I do another wreath I know that an embroidery hoop works better. The metal ring is the modern touch I was looking for. I love working on DIYs because they take you out of your head-space for at least an hour, and allow your brain to focus on something creative. This week I’ve found some random DIY’s that will work for any season. 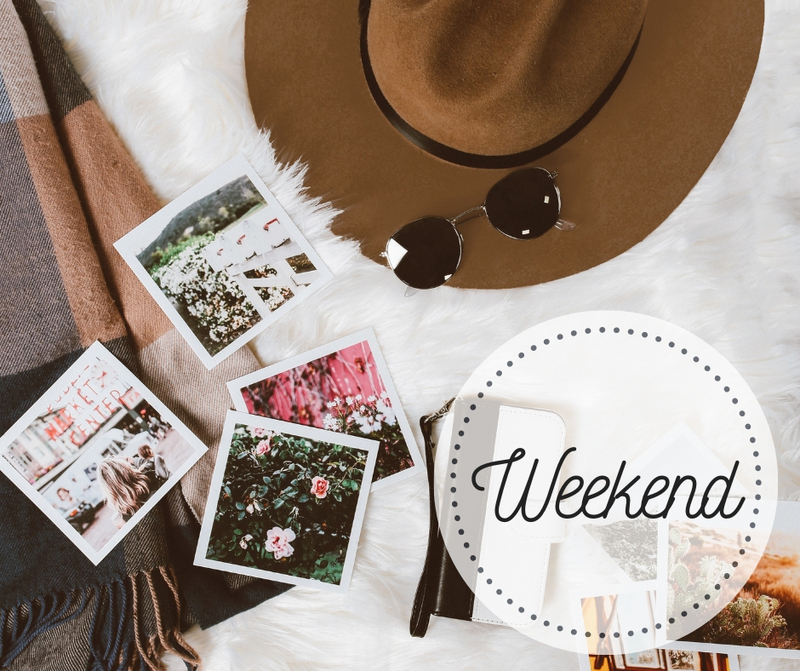 So this weekend … melt away the stress and make something.